There are plenty of things I don’t find particularly interesting about northern Germany. Coupled with the near-constant overcast and a prickly population whose mood seems to suffer from it, the often uniform and unimaginative architecture can be deceptively boring. Though early in the morning before the clouds have a chance to hide the sun and people are still stumbling home from parties the night before, the city tells a different tale. 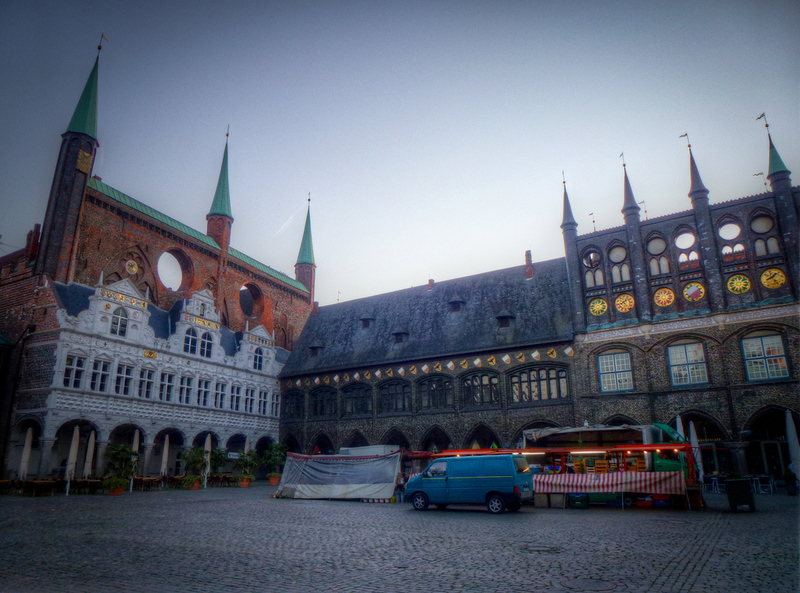 The city of Lubeck, a UNESCO World Heritage Site, has had a fairly laissez-faire attitude with Germany for most of its existence. Once the most powerful member of the economic alliance the Hanseatic League during the 1300s, it has been a part of Denmark and France before finally being absorbed into Germany in 1937. Prior to that, Lubeck was independent of outside rule for 711 years. 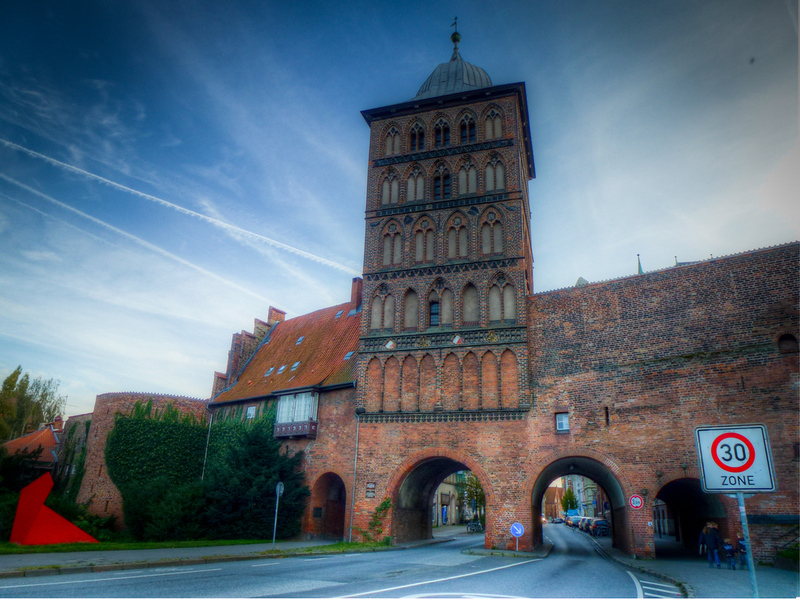 Below is the Holsten Gate (Holstentor) used for centuries to keep attackers out and now the sinking structure is the pride of Lubeck. There were originally 4 gates regulating entrance to city of which only two remain to the present day. One is of course the Holstentor above and this, the Burgtor below. 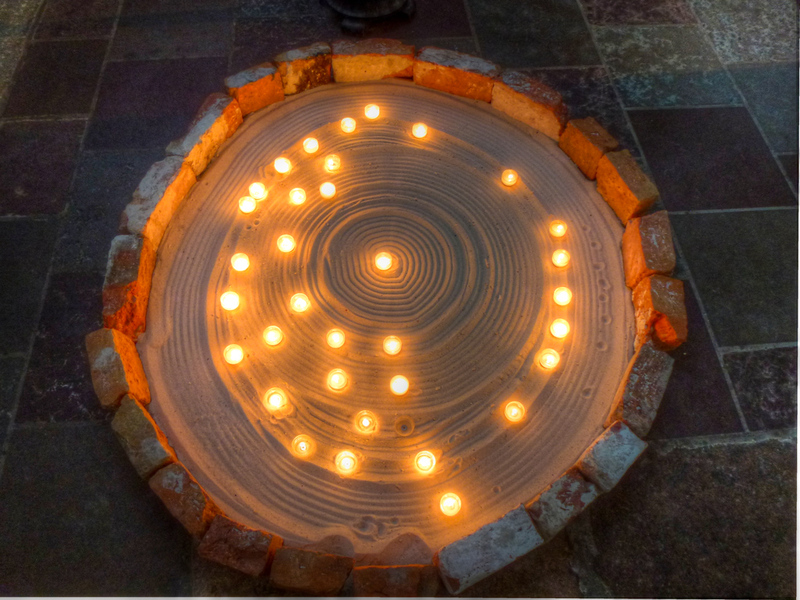 Candles burning inside the St. Mary’s Church (St. Marien zu Lübeck). 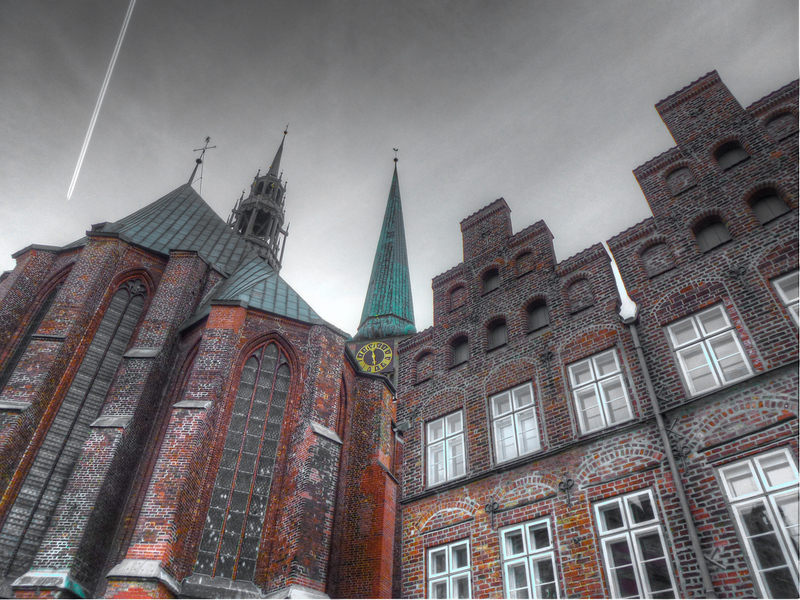 A glimpse of the church from outside and what is also the highest point in the old part of Lubeck. The Fehmarnbelt Lightship (Feuerschiff Fehmarnbelt) which was used to guide ships to and from port between 1908 until the mid-1960s. 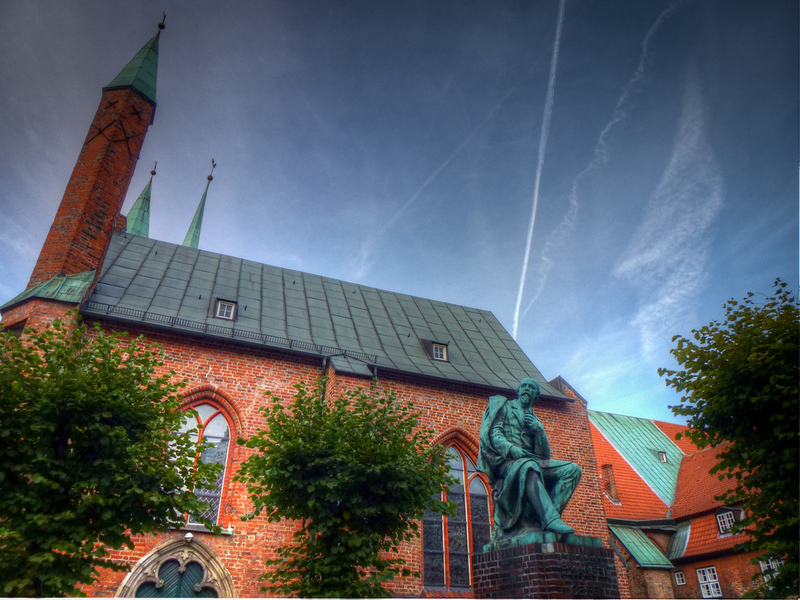 The Hospital of the Holy Spirit built in 1260 and also where you’ll find the Lubeck Christmas Market during November and December. Lubeck’s largest ethnic group, like the rest of Germany, is Turkish. In Lubeck, Turks comprise about 5% of the population; less than the national average of 18% who are of Turkish origin. 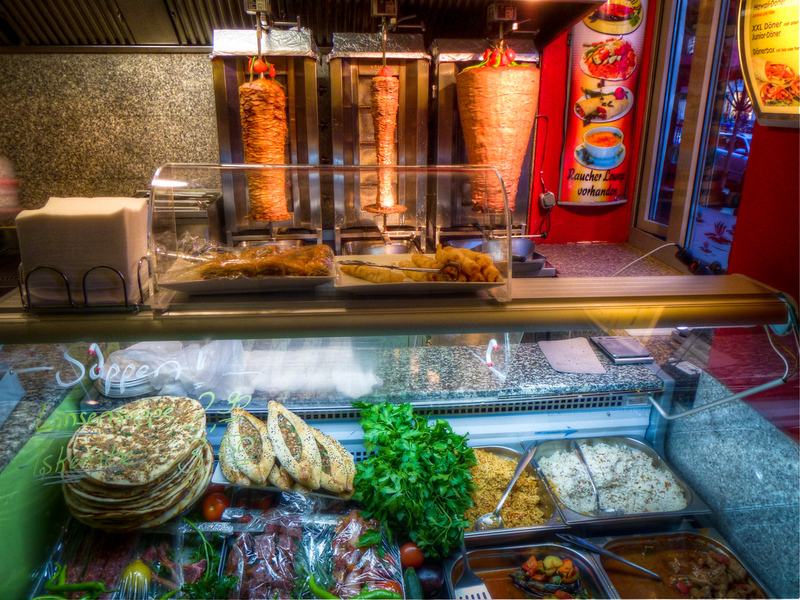 With Turks, comes Turkish foods like doner, borek, lahmacun, and more which are very popular throughout Germany. 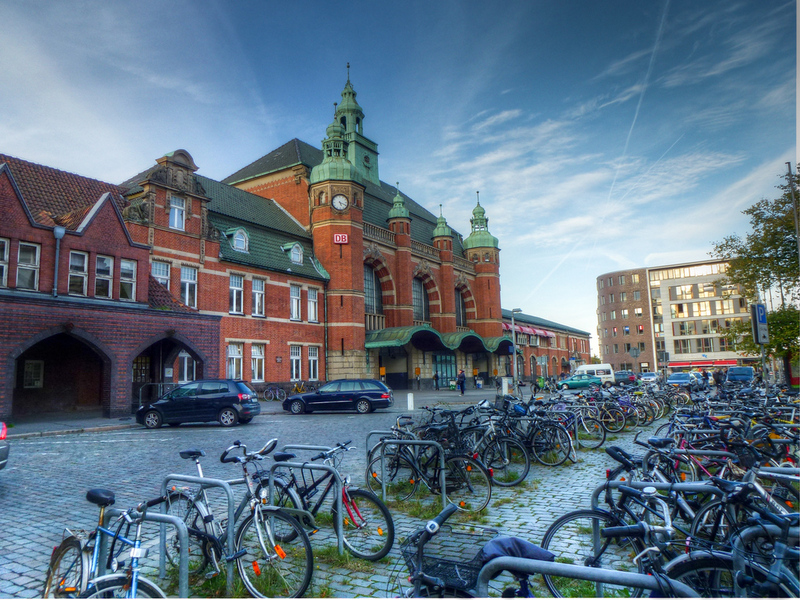 This is Lubeck’s train station (Hauptbahnhof) which is fairly small although there is free wireless at the McDonald’s there if you’re in a bind. Hamburg (and yes, its Reeperbahn) is about 15 Euros and 45 minutes away. The same station, from the other side. When you get up before sunrise to do anything in Germany, not much is open. 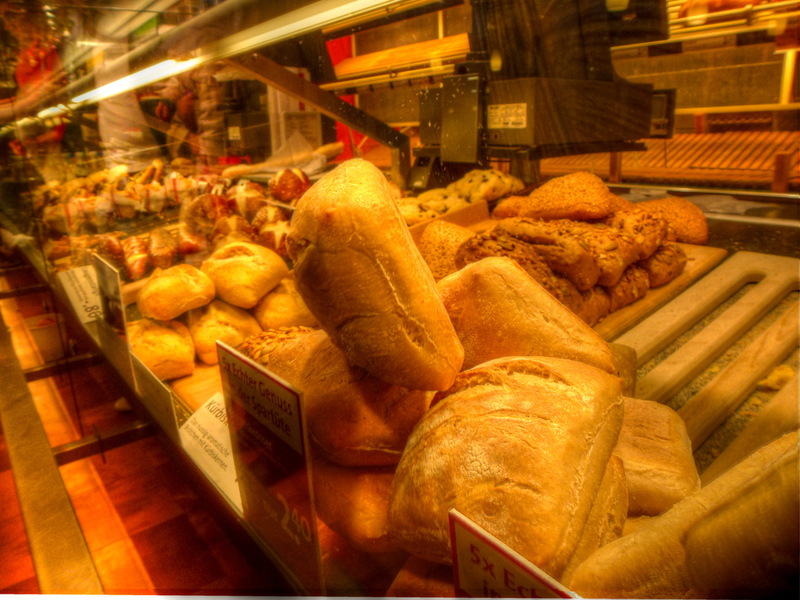 Except for the bakeries who are waiting for you with hot bread. The old city of Lubeck is actually an island, surrounded on all sides by the Trave River. 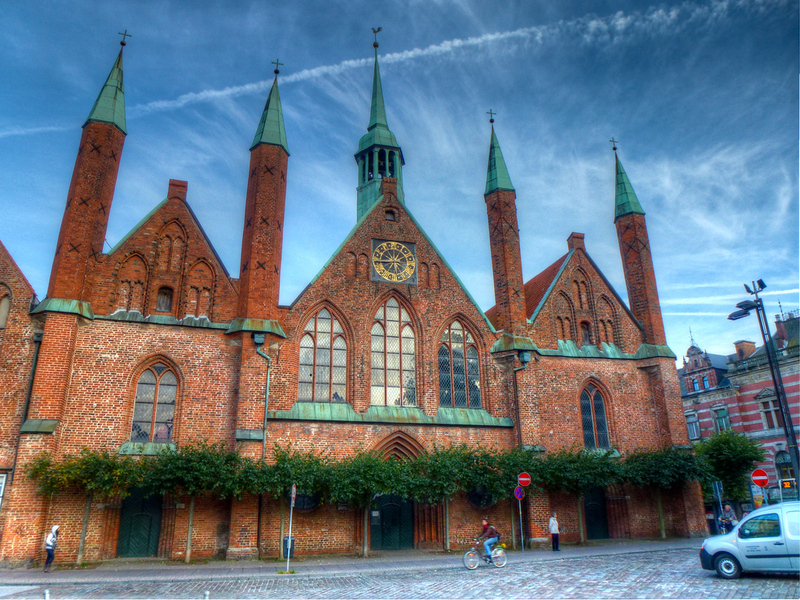 The Lubeck Town Hall, where the city’s senate still meets regularly. Various forms of the city’s political body have met here since the 13th century. A statue of the German poet Emanuel Geibel posed in a contemplative mood. A few minutes later the sun rises; sober people make their way on to the streets while those with hangovers finally get to bed. Within moments the story shifts and shatters into a million different narratives from the singular one Lubeck tells just before dawn. Nice shots! Love the bikes! Thanks! One of my favorite parts about western Europe are how easy it is to ride bikes there. It looks like a deserted city, there doesn’t seem to be any people anywhere? It was before sunset 🙂 Glad you enjoyed the photos, makes it even more worth getting up that early! 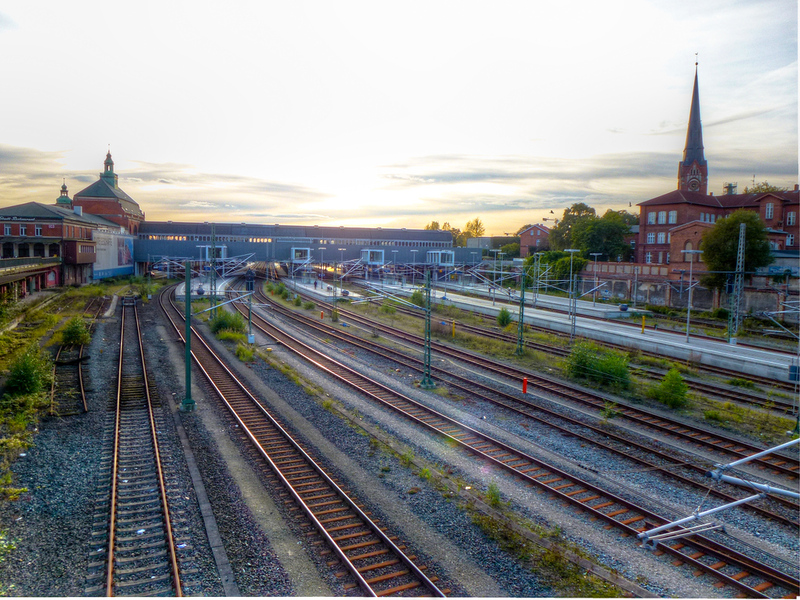 That’s a great look back at your trip to Lübeck with some colourful pictures of the early-morning light! I’d also add as it is with just about anywhere in Germany, residential neighbourhoods with the small but wide-open Höfe (courtyards) to the east side of Königstrasse in Lübeck’s Innenstadt are worth a look, too. 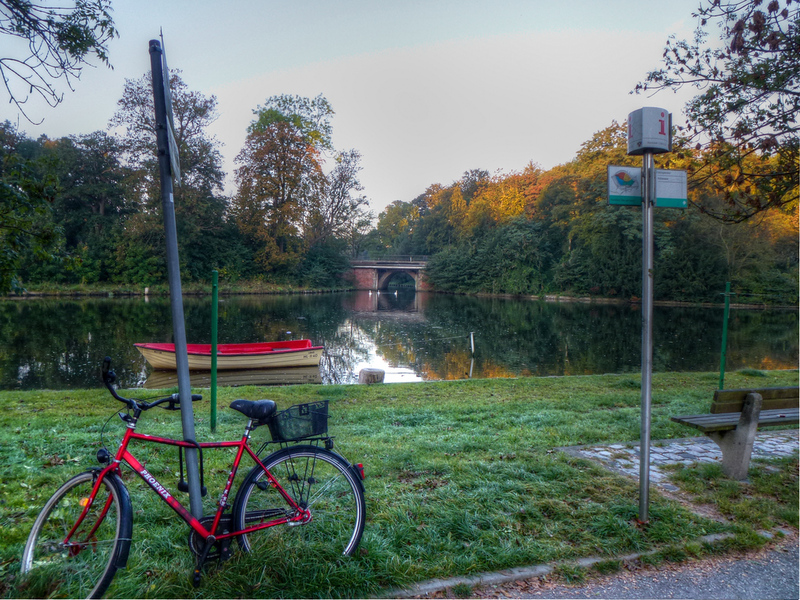 The Mühlenteich and the Krähenteich at the south end of the Innenstadt island can be colourful and relaxing. An afternoon-trip to the Baltic coastal town of Travemünde (mouth of the river Trave) can be very pretty as well. Wow, those gates look amazing! Thanks! Really impressive they’ve lasted so long – but I guess not surprising considering how well the Germans have taken care of them. haha, it does add to the charm 🙂 Less complaining to hear about when everyone’s asleep! I hate that about Ryanair!! They try to convince you that the airport is in Hamburg when it’s not even really in Lubeck! It’s a bit of a drive out to get to that airport the locals keep trying to close down. Stunning photos, Anil, and made even more impressive by the fact that you took them in a part of the world that doesn’t usually make the list of popular or attractive tourist destinations. That lightship shot in particular is amazing! 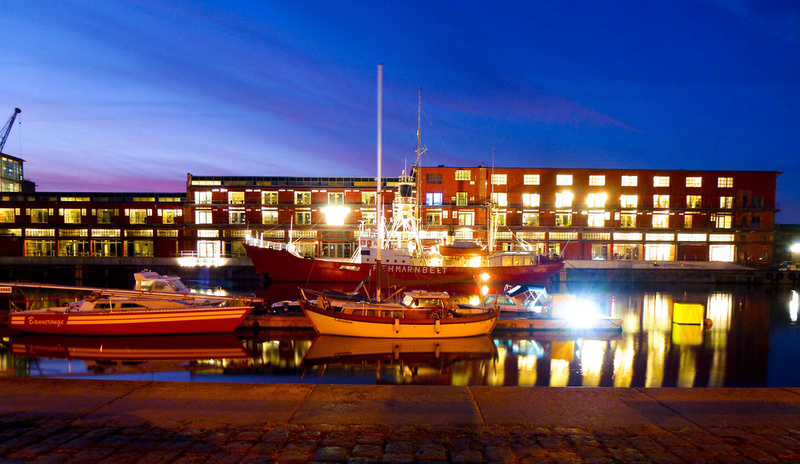 Thank you David; and glad you like the lightship photo – of all of these it was the most difficult to get! Since you began featuring these high-quality, visually appealing images I’ve gone from liking to really loving your blog. Inspiring! 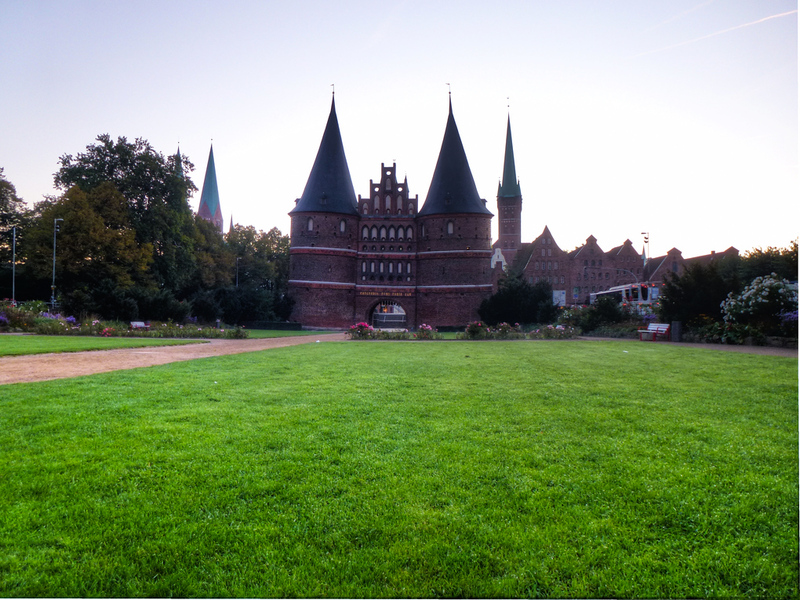 I LOVED Lubeck & Hamburg. I found your site AFTER visiting these cities. Your pics are great. I find it insulting and a huge disservice in your description of all the people of northern area of Germany. I have NEVER found this to be true. I always use respectful words in their language of ‘please’ and ‘thank you’ and have always found the people very helpful, polite, fun, laughing and opposite of the rude remarks you parade on you site. It seems it would be more positive of you to travel the world in an attempt to breed kindness and respect than to bring even more negatives and insults into the world. I have lived in Germany for 10 months and find the people outstanding. Maybe you should first look at your approach and attitude in judgement while traveling before being so hard, and in my experience, unfair to the people of Germany. I strive to be the ambassador first and not the judgmental tourist from Hell. I didn’t say people aren’t nice in their own way. Given your comments I think you’re the one who should evaluate your responses.